At Bergenfield Village Laundromat and Dry Cleaners, our alterations and tailoring experts can hem or fix trousers, skirts, dresses, coats, anything at all. Just be sure to bring the right shoes when we measure you. Seams fixed, you name it. We can do it for you. Your favorite long skirt from a few seasons ago may only need to be shortened to be back in style. Bring it in. We will have it hemmed and back in your closet. Or a change of buttons on a jacket is needed to update the look. You get the buttons, or maybe we already have them. We will sew the new buttons and you have a great new look for your wardrobe. 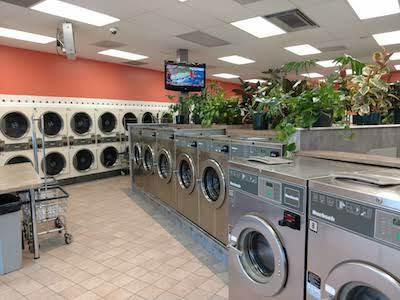 Village Laundromat also offers wash and dry services and professional dry cleaning. Visit us today!